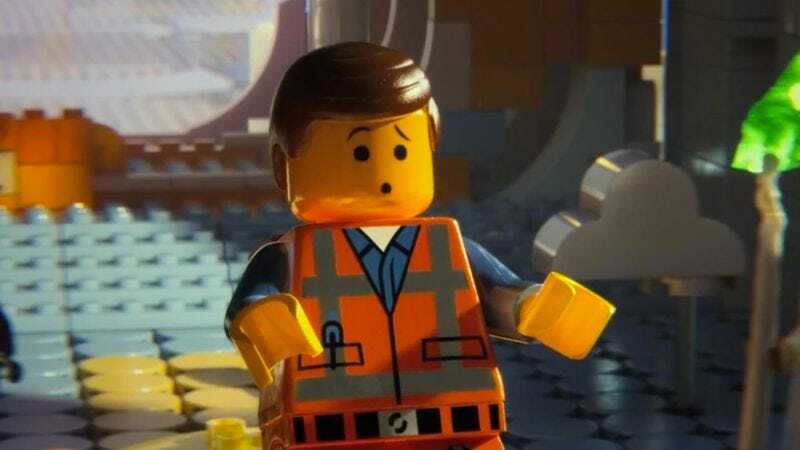 Animation fans, prepare your best “everything is not awesome” tweet. An audible gasp could be heard at this morning’s crack-of-dawn Academy Awards press conference in Los Angeles, when new Star Wars maestro J.J. Abrams and Gravity director Alfonso Cuarón announced that the widely beloved The Lego Movie would not be winning a golden statuette for Best Animated Feature, as it’s not even nominated in the category. That wasn’t the only shocking omission: Life Itself, director Steve James’ tribute to the late Roger Ebert, didn’t make the cut for Best Documentary Feature—though James was probably prepared for that himself, given the Academy’s previous snubbing of both his Hoop Dreams and The Interrupters. Not all the surprises were bad, though. Despite the Academy’s notorious reluctance to nominate foreign-language performances, Marion Cotillard was able to slip into the Best Actress race for her magnificent work in Two Days, One Night. Also nice was the addition of the gorgeous, black-and-white Ida to the Cinematography category, where it will compete against another of the year’s best-shot films, Mr. Turner. The complete list of nominations is below. Tune in on February 22 to see The Lego Movie not win an Oscar for Animated Feature.